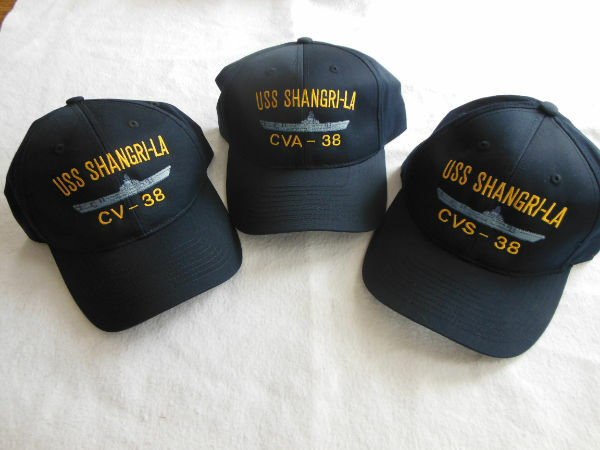 We cannot process orders over the net and do not accept any credit cards. 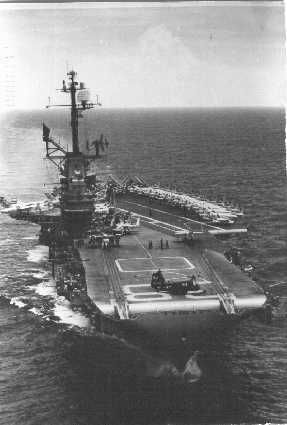 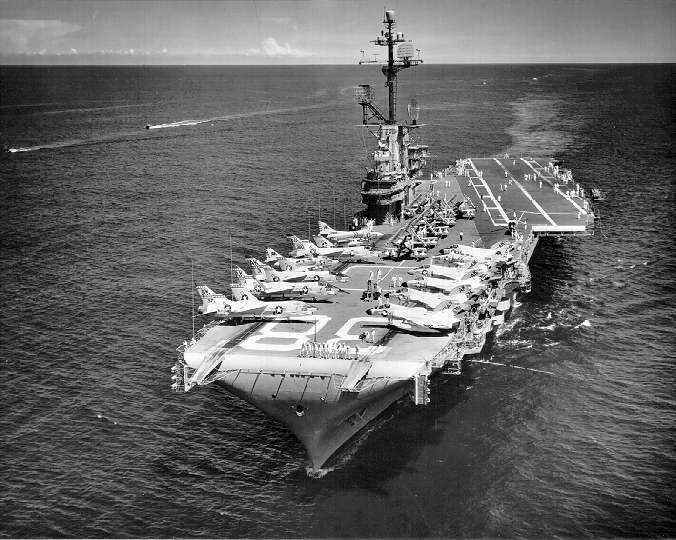 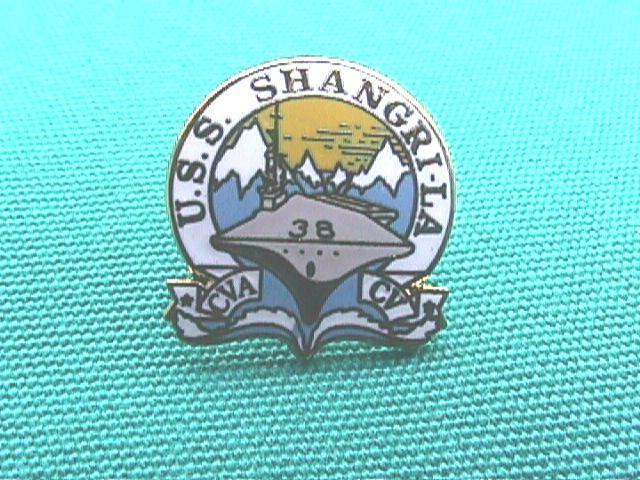 You will need to send us a description of what you would like along with a check or money order made out to the “USS Shangri-La Auxiliary” prior to filling the order. 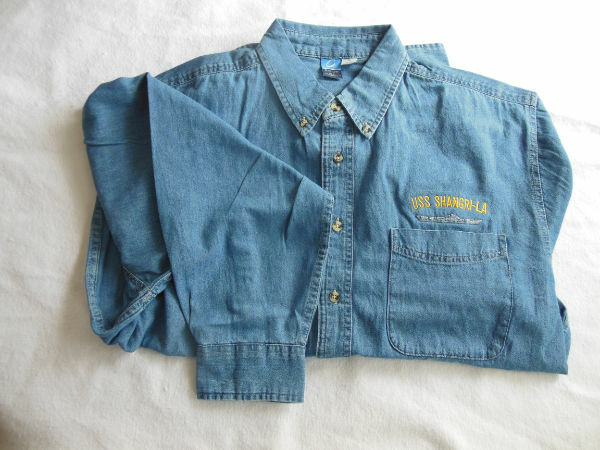 To view a photo of the items, click the underlined item name/description. 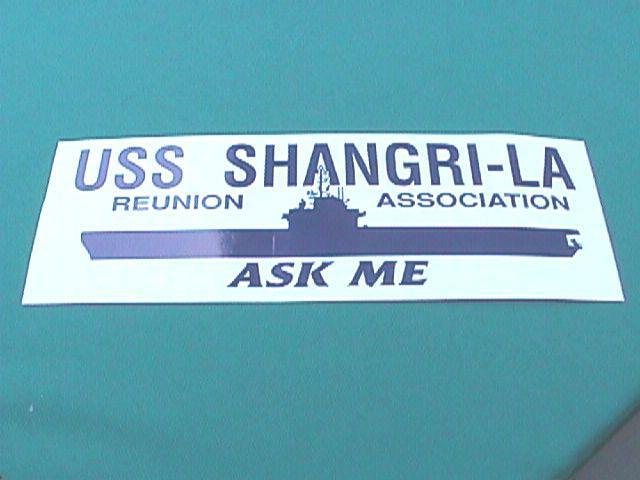 Click ‘return’ to come back to this form.
. $5.00 PATCH, EMBROIDERED LOGO 4″ HIGH .
. $6.00 TIE or LAPEL PIN, SHANG LOGO .
. $5.00 WINDOW DECAL, SHANGRI-LA LOGO (3 inch) .
. $16.00 BALL CAP, NAVY BLUE, EMBROIDERED, w/oak leafs, silhouette & USS Shangri-La . 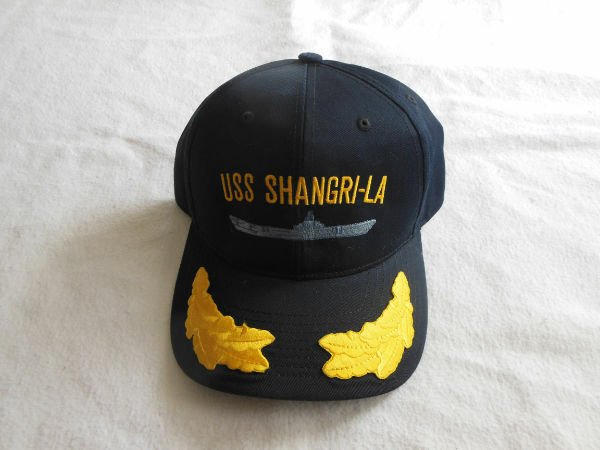 Ball Cap, Navy blue, (low profile) Embroidered w/ship & Name.
. $25.00 Men’s Long Sleeve Denim Shirt, Faded Blue, pocket, button collar, embroidered. 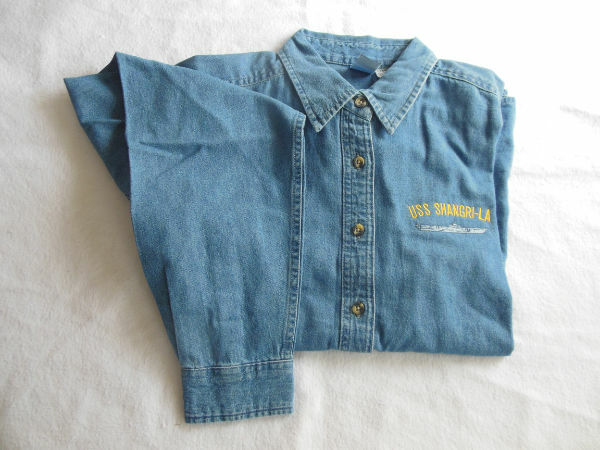 S, M, L, XL (2XL add $2.00) . 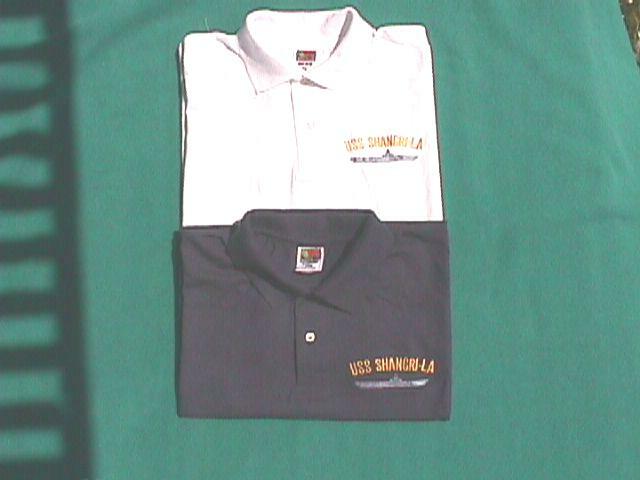 XXL or XXXL add $2.00 GOLF SHIRT, EMBROIDERED, (with pocket) carrier silhouette & name XXXL, XXL, XL, L, M, S WHITE, NAVY, circle size & color . 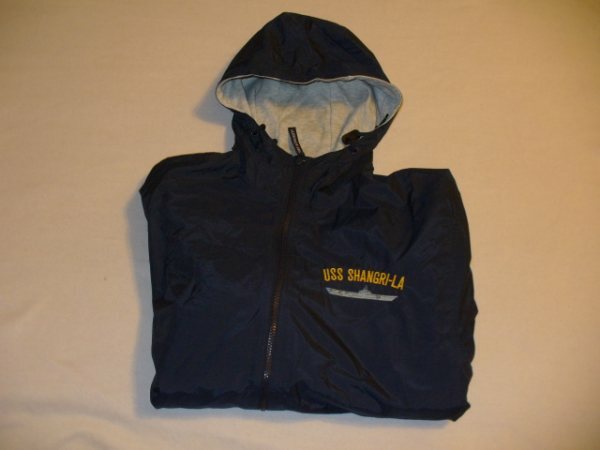 XXL & XXXL add $3.00 Team Jacket w/ hood, Navy blue, Nylon w/sweatshirt fleece lining. 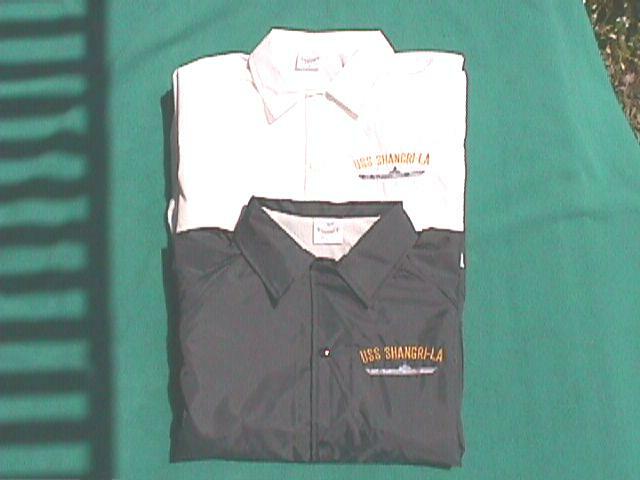 XXXL, XXL, XL, X, L, M .
. $36.00 JACKET, LIGHT WEIGHT, LINED, EMBROIDERED, NAVY BLUE carrier silhouette & name XL, L, S (XXL XXXL add 2.00) Circle Size . 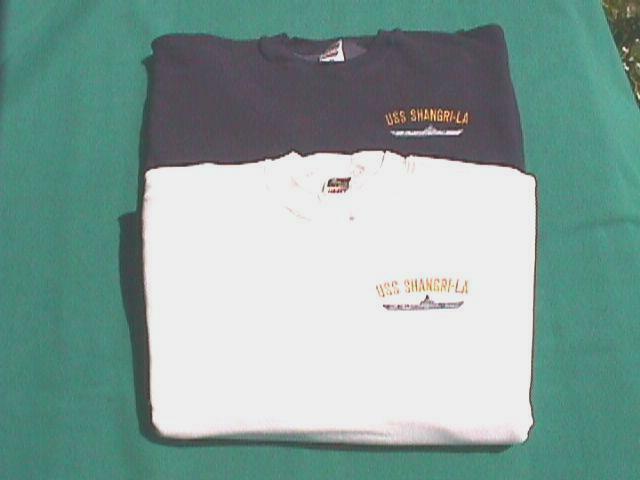 XXL & XXXL $35.00 SWEATSHIRT, EMBROIDERED, NAVY BLUE W/ HOOD & ZIPPER. 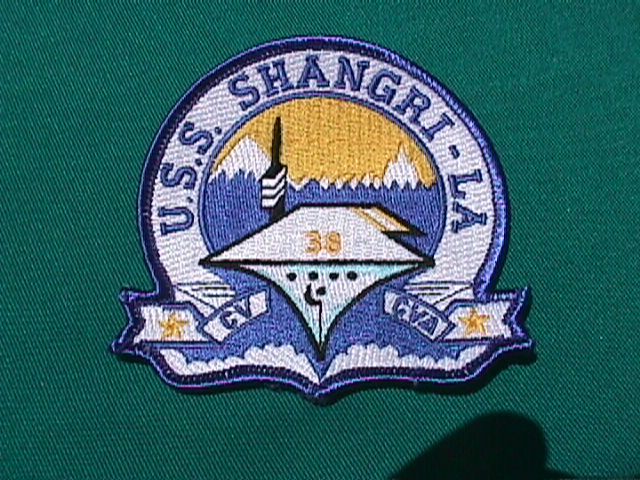 carrier silhouette & name S, L, XL, Circle Size . 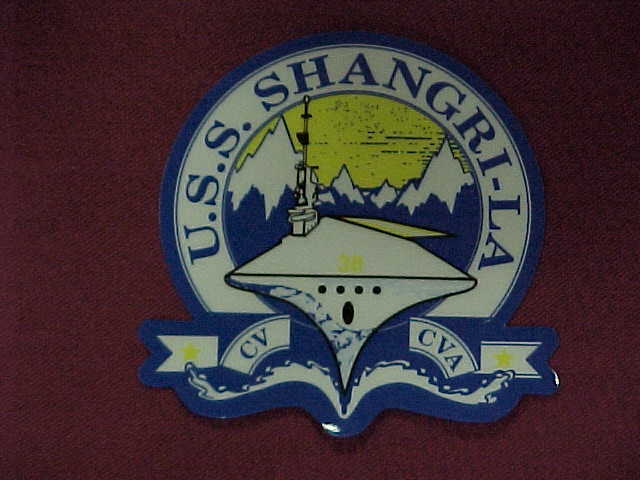 Your USS Shangri-La Associations ships store is completely nonprofit and maintained by non paid volunteers who belong to the USS Shangri-La Association and are fellow shipmates and spouses. 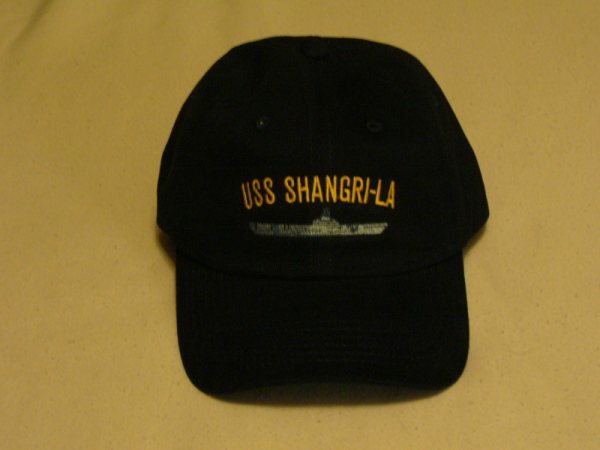 100% of all proceeds go to the USS Shangri-La Ladies Auxiliary to support the Association.